Through the power of marketing automation, workflows and CRM marketing tools, lead qualification is now easier than ever. We use intelligent lead form strategies and personalized content to help clients get their leads to “raise their hands” during the conversion process. Based on prospect behavior and actions, we rank and score them to determine which are sales ready, and which need more nurturing. Traditionally, lead nurturing has meant email marketing – drip notifications, newsletters, offers and updates. With the combined power of marketing automation and content management, our approach to lead nurturing can be more personalized and sophisticated to move them towards becoming a customer. Tailored content is then created and framed around various stages in the buyer’s journey. During this process, emails, workflows and lead scoring are used to nurture the prospect throughout the sales funnel – up until they close as a customer. An effective closing strategy begins with the efficient transfer of sales ready leads from marketing to sales. Having marketing and sales on the same page is ensured by service level agreements to facilitate this process. Using qualification data and analytics, we build a lead scoring process to help prioritize and organize leads ready for sales engagement and closing. 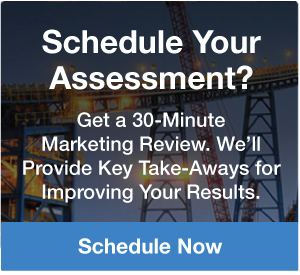 We know that analyzing your return-on-investment is key for improving and refining your marketing efforts. In the last step of our marketing methodology, we take a deep-dive into your campaign analytics to see how it’s performed. We pick apart why a piece of content is working better than another and streamline our efforts based on this data, to bring you the greatest results possible. During this process, emails, workflows and lead scoring are used to nurture the prospect throughout the sales funnel – up until they close as a customer.